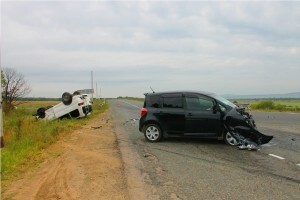 A run off the road accident is generally a single vehicle accident in which another vehicle physically contacted your car and caused you to leave the roadway. It also is a case where a vehicle unsafely entered your lane without contacting you but caused you to take extreme evasive maneuvers that ran you off the road. Similarly, a run off the road motorcycle accident can be one where the responsible motorist remains at the scene and admits fault or leaves the scene, either intentionally or because the motorist was unaware of the motorcycle’s presence on the roadway. Your car might also have been run off the road by a truck whose driver was unaware of your car or by an impaired or distracted driver who panicked and fled the scene. If the other car did make contact but fled, at least you have the physical evidence of a collision. But in many other cases, there was no contact and you have a “phantom vehicle” claim. Insurers are naturally suspicious if you assert that you were run off the road by another car that did not make contact with yours, but Massachusetts law, does allow you to make an uninsured motorist claim in the absence of physical contact. Uninsured or UM coverage applies when a negligent motorist who caused your accident fails to have auto liability coverage. UM can also be used in hit and run accidents such as the run off the road accident scenario where the responsible motorist is unidentified. The insurer can still challenge your assertion that an unidentified vehicle ran you off the road and may claim that you either fell asleep or were otherwise careless in causing your own accident. 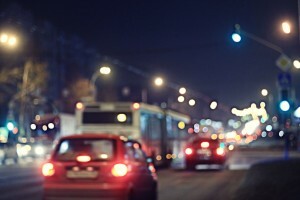 A corroborating witness certainly helps, but if the accident occurred at or near an intersection, there may be cameras on adjoining businesses that may have filmed the accident. Where a UM claim is filed, you are not entitled to a jury trial but to binding arbitration only. Still, you will need the services of a knowledgeable and highly experienced personal injury attorney like Neil Burns to handle your claim since insurers are likely to challenge your claim. Massachusetts is a no-fault state so that you can collect PIP or Personal Injury Protection benefits for the reasonable value of your medical expenses up to two years from the date of the accident as well as a percentage of your lost wages, up to $8,000 total, depending on whether you have private health insurance. Off the road accident claims can be difficult but Neil Burns is a Boston personal injury accident lawyer who has successfully handled such claims to the satisfaction of his clients. Call his office today for a free analysis of your injury claim.